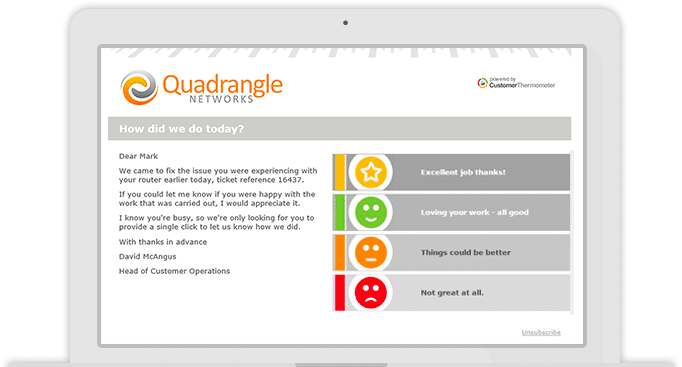 That’s why we’ve made it easy for you to create a branded customer email satisfaction survey. Whether it is the look and feel of the Thermometer email or the thank you pages your customers see. Everything can be configured from the simple admin panel from within your secure account. Need to add a company disclaimer? Not a problem. Add your logo and choose a colour. Define who it comes from too. 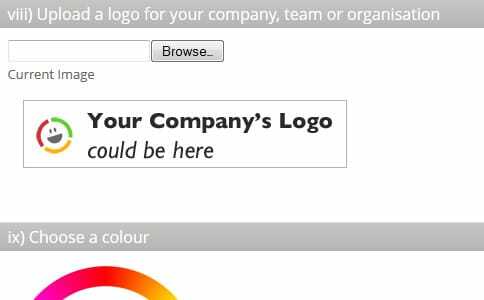 Add your company’s logo and an associated colour bar. Note that you can even type in the exact Hex Colour (should you wish). Make it personal – choose the email address and name your Thermometers will come from and should someone click reply, who will receive it. Note that we don’t allow you to send from public mail services such as Gmail – we ask you to use our address instead, because we work hard to keep our emails out of the SPAM folder. Choose from a wide range of icons or upload your own! Emoticons, traffic lights, numbers, check boxes and crosses, even Hallowe’en pumpkins and seasonal icons are available. Customise your thermometer to your style and your industry. Use the number icons for creating ‘voting’ Thermometers. OR create your own branded icons and upload them into your account to use with all of your Thermometers. Sending to Outlook corporate email? We know it can block images. We understand corporate email systems and have designed an HTML only template for our corporate users. To get round this problem, simply select the HTML icon set from within your setup screen. Your Thermometer emails will look great and work perfectly with Outlook’s overzealous security. and maybe ask for a comment? It’s always nice to say thank you. 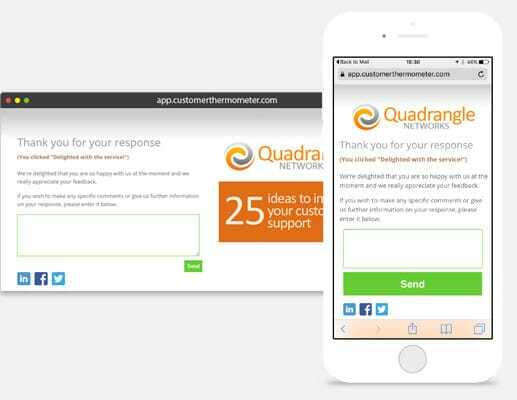 When your customers click their single button response in their email, they are then taken to a branded thank you page – which includes your logo, a clickable advert, a customisable footer, social media links and custom thank you text (you define for each rating). Some customers also like to enable additional comments. In this section, you can define whether commenting should be made available on your ‘Thank you’ pages. All pages are fully customisable and suitable for any language, including Japanese character sets. 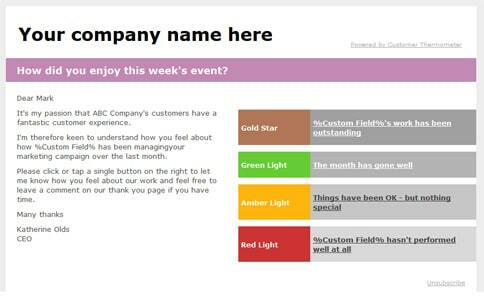 We alert you if your customers click red or amber lights or leave a comment. 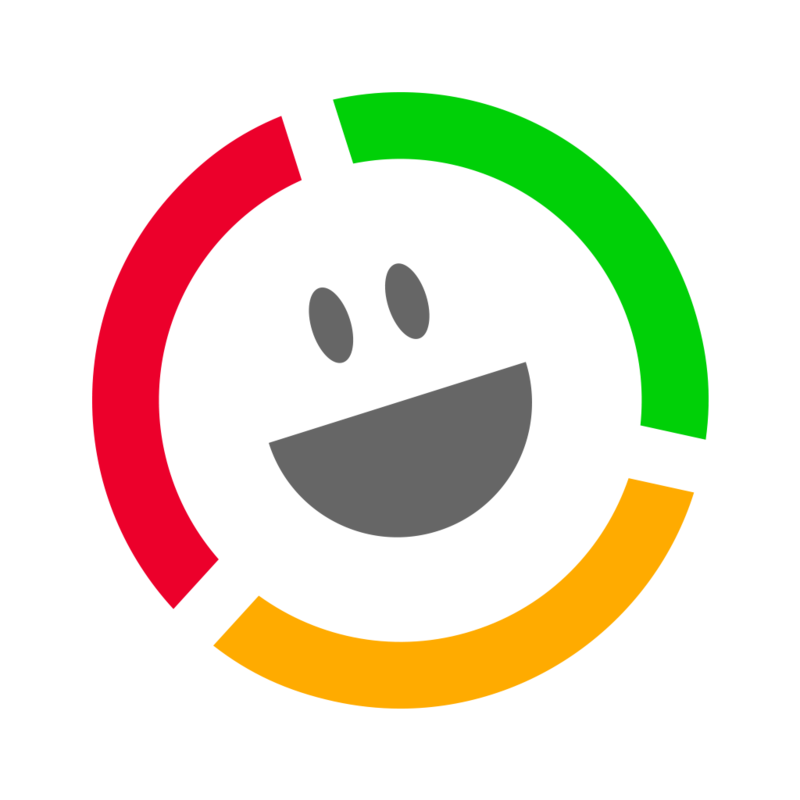 Find out how create email or iOS/Android alerts.